Welcome to week one of the CHIP IN Education Initiative! Here’s how you can chip in and expand efforts to educate consumers and small businesses about chip card payments this week. This week’s mailing provides resources and easy communications actions that can make a big educational impact on the market. You can share anything here as-is, create your own communications and resources using this industry-supported language and messaging, or do a combination of the two! This week, let’s focus our efforts on educating the marketplace using a consumer infographic that explains how to use a chip card in stores, and a consumer FAQ that answers the key questions surrounding the U.S. migration. Download the consumer infographic here, and the FAQ here! Use these recommendations to educate your customers and consumers, and incorporate your own ideas, too! This week, let’s join together and focus our social media efforts around basic EMV chip education for consumers and small businesses. 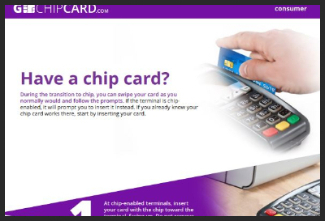 Learn more about using chip cards in stores at www.GoChipCard.com! Consumers and small businesses get most of their information from the media. Communicating accurate and consistent messages with the media is one of the easiest ways we as an industry can help educate the market on chip cards. Chip cards are based on a global card payment standard called EMV, currently used in more than 80 countries. As of December 2014, there are more than 3.4 billion chip cards issued across the globe. Chip card transactions offer advanced security for in-store payments by making every transaction unique. And, chip cards are more difficult to counterfeit or copy. If the card data and the one-time code are stolen, the information cannot be used to create counterfeit cards and commit fraud. When will consumers be able to use chip cards at all merchant locations? Every day, more merchants are becoming chip-enabled to increase security for in-store card transactions, so we will start to see these terminals at many of the places we shop today. Consumers will continue to be able to pay at both chip-enabled and non-chip-enabled merchants with the same card. Where can consumers go to learn about chip cards? 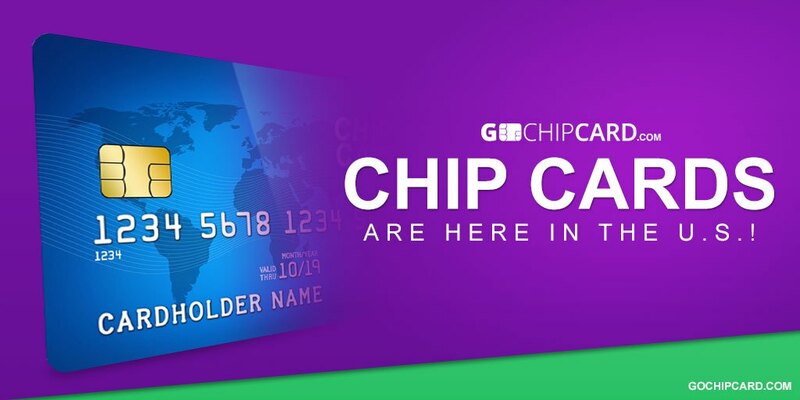 Consumers looking to learn about chip can find answers to common questions at GoChipCard.com. It teaches how to identify a chip card and a chip-enabled terminal, why they’re receiving them, and how to use a chip card in stores. Stay tuned! Next week we're focusing on merchant and small business education.